Retro hipster bicycle with geometric elements. Retro hipster bicycle seamless pattern. Vintage bike elements seamless pattern. 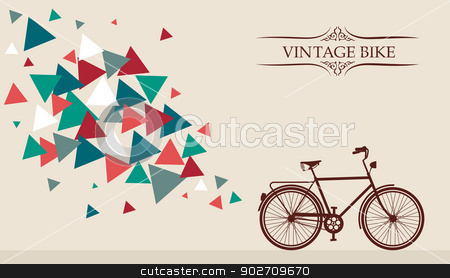 Vector of Retro hipster bicycle with geometric elements. Vintage Bike frame text, triangles splash. Vector file layered for easy editing.